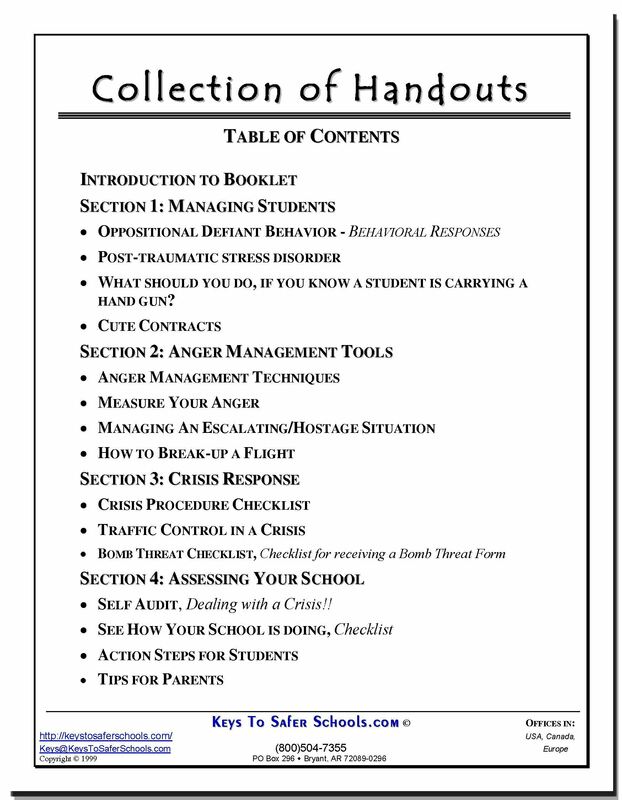 The materials contained in this book are Handouts and Slides used in various training programs. 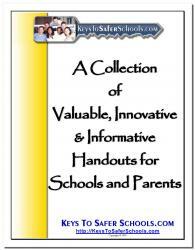 The book is a "Collection of Valuable, Innovative, and Informative Handouts for Schools and Parents." 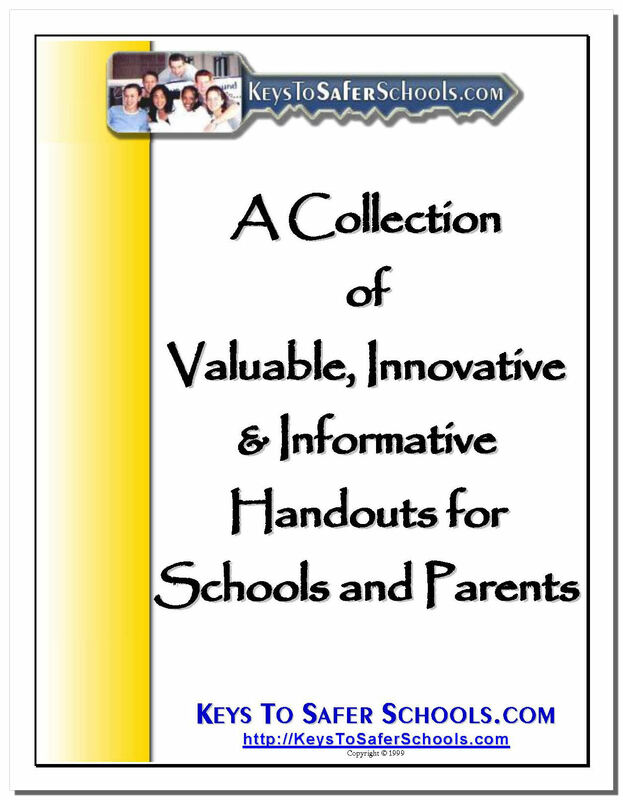 By popular request, this collection has been made available to educators, counselors, and parents for their use. FREE with Sign-up! What should you do, if you know a student is carrying a hand gun? 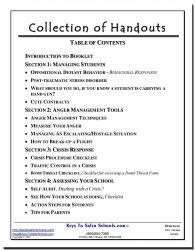 Self Audit, Dealing with a Crisis! !